For a one of side-step, this story features a lot of debuts. It's the first time that Donna Noble has appeared in an AFT story, not that she's much more than background here. I loved the character of Donna but sadly by the time her figure had come out, the character had already had her memory wiped and left the TARDIS. Also making their first appearances are Tosh and Ianto from Torchwood. One of the things that Steven Moffat and the new series does quite well is to wrong foot the audience and go off on a completely unexpected tangent. This is intended to be one of those tangents and an excuse to see some old friends in different situations. I'd like to think that the Doctor has sought out the people in this world that he travelled with in the other. The original seed of the idea came out of the storyline that became Planet At The End Of The Universe and was dreamed up in very early 2011. I wanted to create something bleak and tragic as a contrast to the other stories. 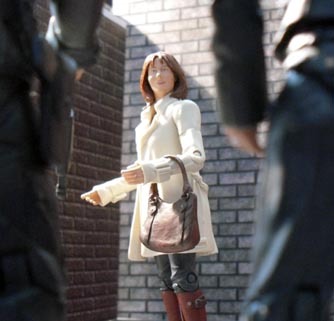 The original storyline focussed more on the world that the Doctor had created with Sarah Jane threatened by lawless gangs rather than soldiers from Theta Sigma Corp. The script for this episode was pinned down very early, in fact it was finished on 31 May 2011, almost a year before transmission and way before the three episodes that surround it. Disaster threatened to strike in August 2011 when it looked like Moffat might have used the same idea. The trailer for series 6b showed mixes in history (as it turned out all history compressed together in The Wedding of River Song) and reports from the screening of Let's Kill Hitler mentioned the returns of former companions Rose, Martha and Donna- though fortunately just 'holographic' versions. Shooting for this episode was very late and began on 9th April with the streets, Torchwood's interiors and the Theta Sigma corridors. It continued on 10th April with the Theta Sigma control room and the rocket cockpit. And the last day in Tosh's house and green screen elements on 11th April. You might notice a similarity between the Doctor's operations room and Ingrid Fox's Battersea Power Station control room in White Christmas. Yes they are one and the same. But you can just make out on some of the rocket shots, the Theta Sigma Corp is based at Battersea Power Station. 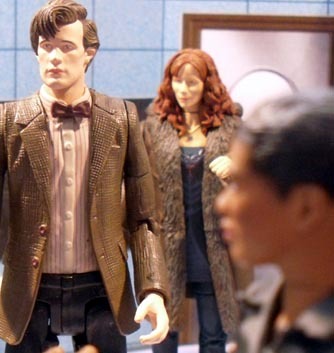 So although the script was written back in 2011, why was it only shot at the eleventh hour? 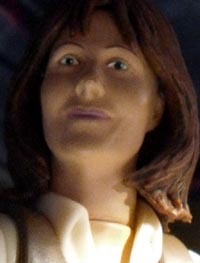 Although Sarah Jane was always intended to be the main protagonist, part of me thought it would be a great role for Rory had a figure of him been released in time. 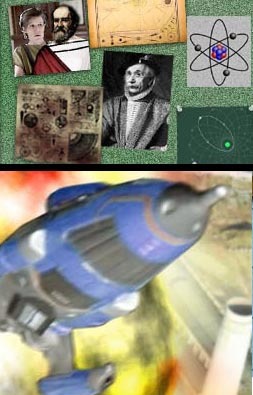 The board showing the achievements of man under the Doctor's guidance show a mix of eras with the Doctor and Gallileo in a photo together plus Einstein in period costume. Editing took place in the week before transmission and was completed on 20th April. 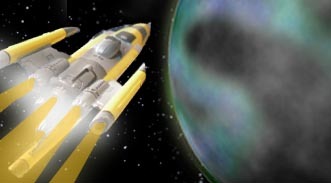 The shots of the Doctor's rocket ship dubbed 'the TARDIS' at the last minute use the ship from The Impossible Planet and were taken for the 2009 Davison/ Hartnell crossover The Phoenix Rises. 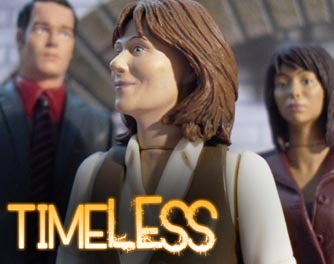 Timeless was originally to be posted on 23 April 2012 at the same time as part one of our new 7th Doctor trilogy but I didn't want the two episodes to compete, so I brought Timeless forward a few days and posted it on 20th April. It seemed particularly poignant coming a day after the anniversary of Sarah Jane actress Lis Sladen's untimely passing. This episode is dedicated to her memory. The decision to make this a separate one-parter was done very late in the day. It had always been my intention that it was part three of Planet At The End Of The Universe and indeed, that story does continue and conclude next month. But this episode seemed so different, it didn't seem to bear the title very well and so deserved it's own individual monicker. 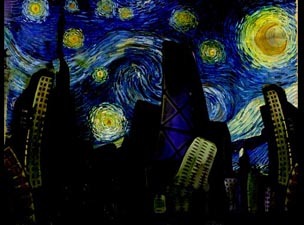 A painting on Tosh's wall show's Van Gogh's slightly different take on Starry Night. I felt it was appropriate to include a bit of alternate Van Gogh given that our current 11th Doctor run takes place before Vincent and the Doctor. As a sidestep into an alternate history, this episode isn't particularly continuity bound but slots between episodes two and three of Planet At The End Of The Universe, the latest story in our run of 11th Doctor adventures. In terms of the wider series we are still in the middle of Series 5, between Cold Blood and Vincent and the Doctor where Rory has been erased from history. This would have made his appearance here all the more poignant had it been able to happen.